McNICHOLS is North America’s leading supplier and fabricator of Perforated and Expanded Metal, Wire Mesh, Designer Metal, Grating and Flooring products. With metals service centers strategically placed from coast-to-coast, customers continue to rely on our experience and vast product inventory to produce the right solution for their projects. As an ISO 9001:2008 certified company, we provide an unsurpassed level of service, quality and performance. At McNICHOLS, we are “Inspired to Serve™” every day. Purchase McNICHOLS® Quality Hole Products from one of our 18 service centers nationwide. 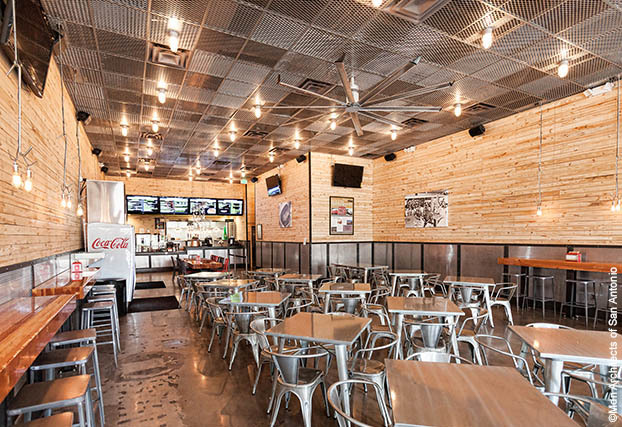 McNICHOLS® Perforated Metal wainscoting and Expanded Metal ceiling at this Texas eatery. 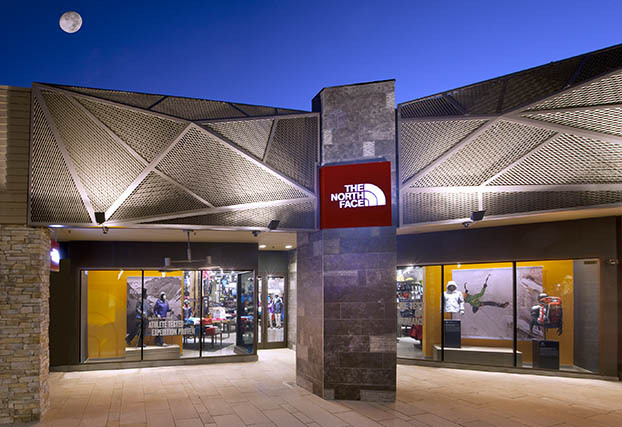 : McNICHOLS® Expanded Metal is made to resemble boulders on this building facade. 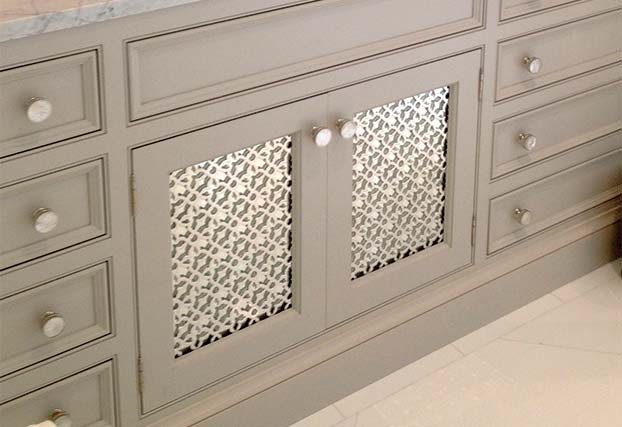 McNICHOLS® Designer Perforated Grille in the Majestic pattern decorate this bathroom vanity. 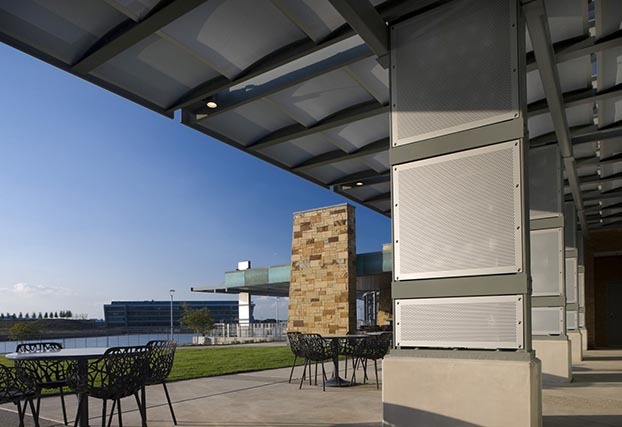 McNICHOLS® Bar Grating creates a wing-like sunshade and second floor balcony. 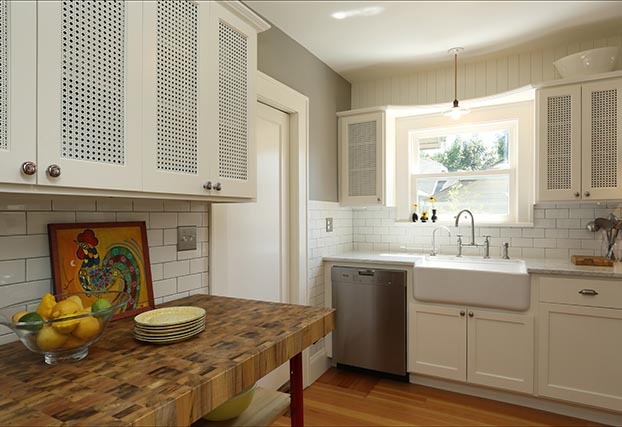 McNICHOLS® Octagon Cane Perforate Metal embellishes these kitchen cabinets. 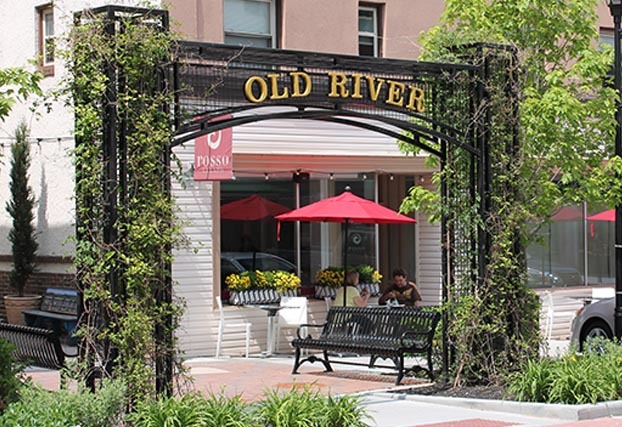 This city park uses the ECO-MESH® Plant & Trellis System for greenery. 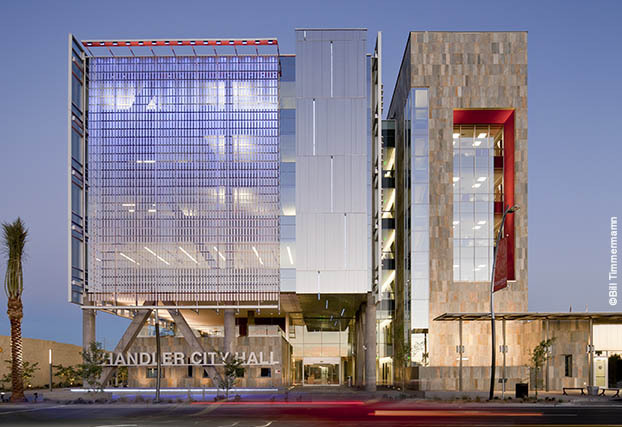 McNICHOLS® Perforated Metal act as a sunshade and privacy screen at Chandler City Hall in Arizona. 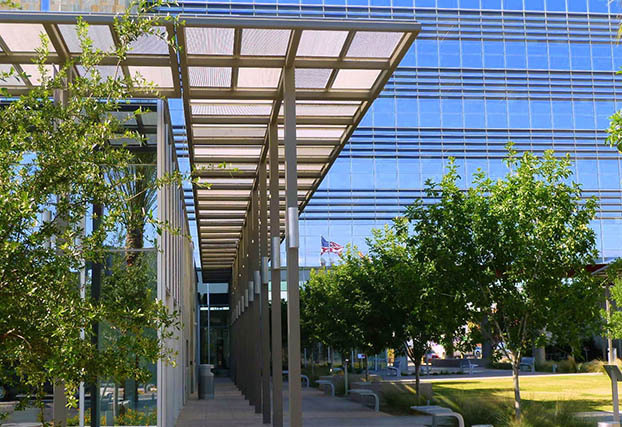 McNICHOLS® Perforated Metal sunshade spans the walkway of this business complex. McNICHOLS® Perforated Metal is used as a canopy and column covers at this recreational facility in Texas. 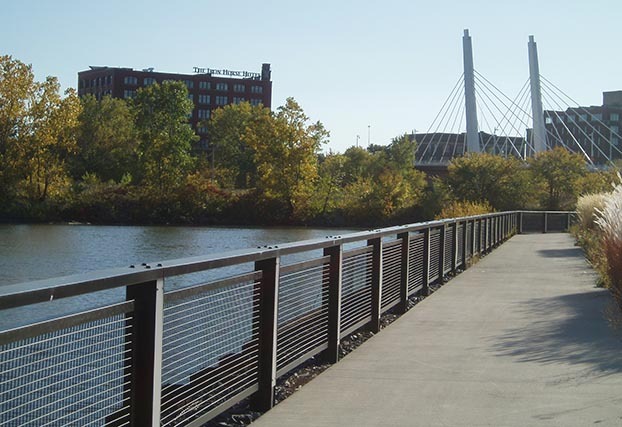 McNICHOLS® Square Wire Mesh infill panels line this riverwalk. 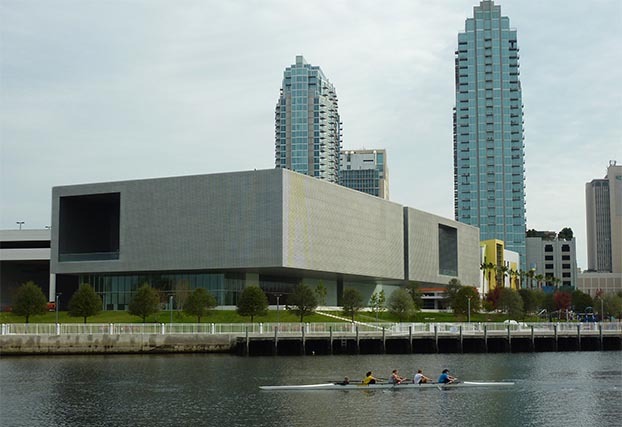 McNICHOLS® Perforated Metal is the building’s façade at the Tampa Museum of Art. 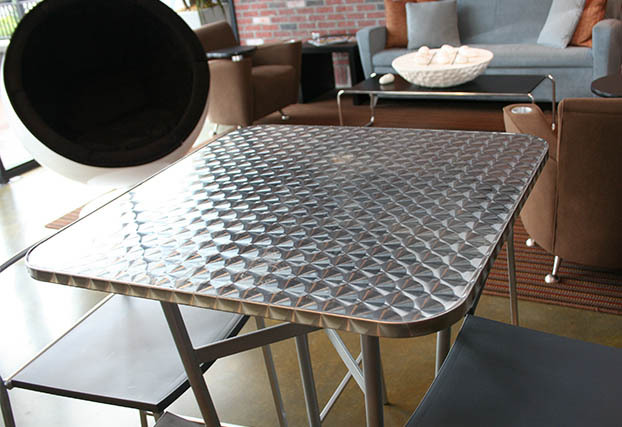 McNICHOLS® Textured Metal in Engine Turn covers this modern table. 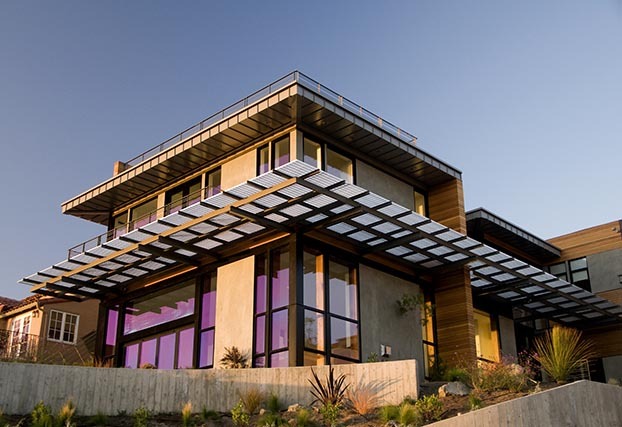 Sustainable products in Aluminum, Plain Steel, Stainless Steel and Copper may help your project achieve LEED credits and certification.